Τοποθετημένο στην υπέροχη περιοχή της Νόι Μπάι Έρπορτ, το New Airport Hotel χαίρει μιας επιβλητικής θέσης στη πολιτισμικά αξιοθέατα, επαγγελματικές δραστηριότητες κεντρικό σημείο της Hanoi. Σε απόσταση μόνο 18 Km από το κέντρο της πόλης, οι επισκέπτες βρίσκονται στην κατάλληλη θέση για να απολαύσουν τα αξιοθέατα και τις δραστηριότητες. Από τη βολική της τοποθεσία, η ιδιοκτησία προσφέρει εύκολη πρόσβαση σε κορυφαίους προορισμούς της πόλης. Το New Airport Hotel προσφέρει άψογη εξυπηρέτηση και όλες τις βασικές ανέσεις στους ενθουσιώδεις ταξιδιώτες. Τα 24ωρη υπηρεσία δωματίου, δωρεάν WiFi σε όλα τα δωμάτια, 24ωρη φύλαξη, παντοπωλείο, ημερήσιος καθαρισμός είναι μόνο λίγες από τις εγκαταστάσεις που κάνουν το New Airport Hotel να ξεχωρίζει από τα άλλα ξενοδοχεία στην πόλη. Απολαύστε ανέσεις υψηλών προδιαγραφών κατά τη διαμονή σας. Ορισμένα δωμάτια περιλαμβάνουν επίπεδη τηλεόραση, κρεμάστρα ρούχων, δωρεάν καφές φίλτρου, δωρεάν τσάι, τζάκι - ό,τι πρέπει για να αναζωογονηθείτε μετά από μια γεμάτη μέρα. Η πλήρης λίστα των ψυχαγωγικών υπηρεσιών είναι διαθέσιμη στο ξενοδοχείο, συμπεριλαμβανομένων των ψάρεμα, μασάζ, παιδότοπος. Όποιος κι αν είναι ο σκοπός της επίσκεψης σας στη Hanoi, το New Airport Hotel είναι μια εξαιρετική επιλογή για μια χαρούμενη και συναρπαστική απόδραση. 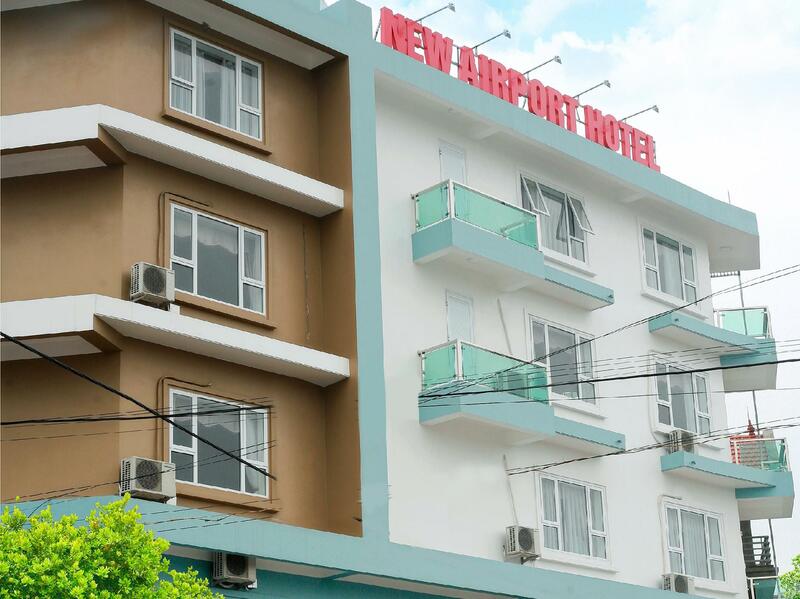 We choose this hotel for the location to the airport and the better reviews from other nearby places. However, the sheets didn't smell clean and the room was damp. It was noisy throughout the night with banging going on and a couple of alarms going off. It was difficult to find somewhere to eat. Staff were friendly and helpful. My room was the most attractive ever. So nicely designed. The guy at the desk greeted me warmly and got me quickly to my room. Airport transfer (110,000 dong) was ready on time. Great job, Mew Airpot Hotel. This hotel is very close to the airport. There are not many food eating options around. Having said that, the hotel is very good value. 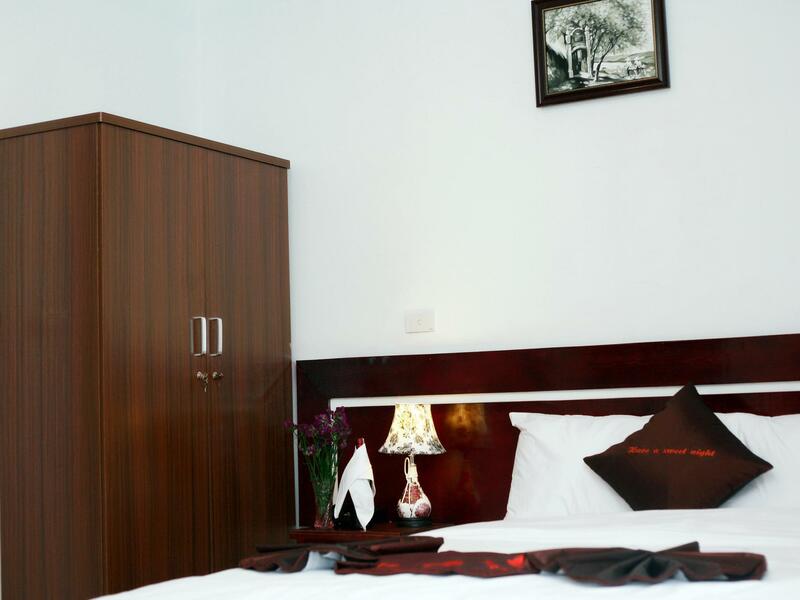 The rooms are spacious, the staff is excellent. I would stay here again but only for arrival to or departure from Hanoi. Everything ok. , for a night near the airport. Only the price for bringing to the airport a little high. Everything was perfect except the shower pressure was almost impossible to wash off the shampoo. Idk if that was only my room tho. The staffs were super kind and the room was really clean. About three mins from the airport. Nice hotel overall. Super convenient for getting to the airport in the morning. The staff was really helpful in getting us checked in, even though we arrived later than expected. Breakfast was tasty and the closeness to the airport let us get a meal in before our early flight. It was a really clean, comfortable and spacious room, and you can't beat the proximity to the airport for a nice and easy morning transition. We'd be happy to stay here again. A very well run hotel with pickup from airport, 5 minutes away, clean rooms, hot shower and breakfast if so desired. The General Manager was in contact with me by email after I booked thru Agoda. Staff is very responsive. Perfect for what it is. Highly recommended for staying close to airport when in transition to another flight. 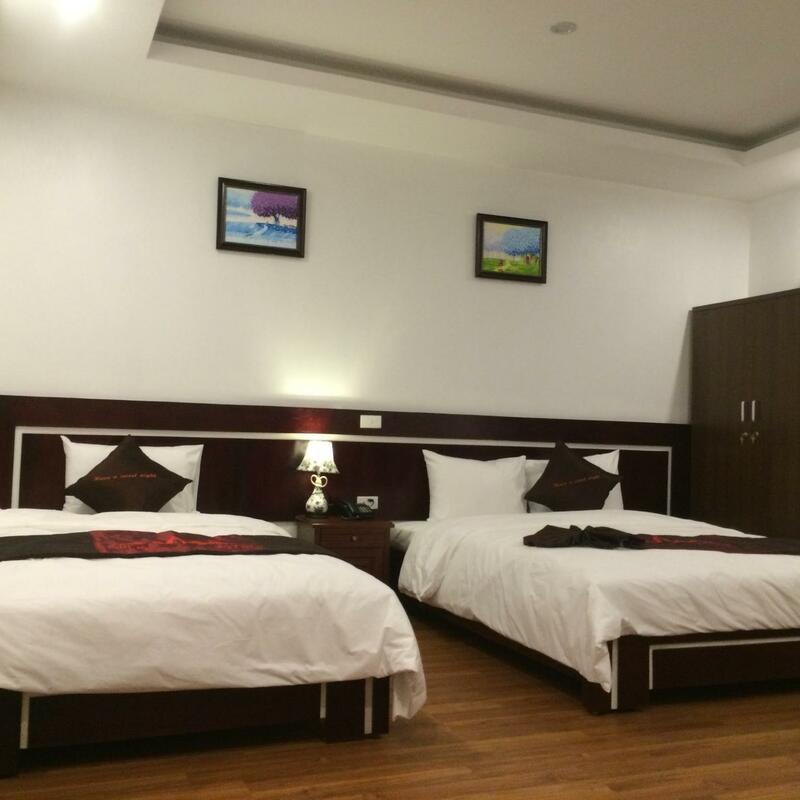 My business partner and I stayed here the night before our early morning flight out of Hanoi. For that reason, it was a great place to stay. Very close and convenient to the airport. The hotel provided a taxi to the airport which was smooth and cheap (US$4). The staff were friendly and seemed very concerned that we have a good stay. The room and bathroom were large, clean, and comfortable. The main problem is the food. Due to the location, there's really nowhere to eat outside the hotel unless you take a taxi somewhere, which we didn't want to waste the time or money doing. The hotel has a small restaurant that serves a limited menu of relatively blah food and drinks. Vietnam has such fantastic food, but this isn't the place to get it. All in all though, it's great if you need a clean bed close to the airport. This was my second time stay at this airport hotel. This time I had a chance to have their breakfast. The breakfast was limited to 6 choices. I tried their chicken noodle soup, it was good. If I have a transit at Hanoi, I will stay at this hotel again. New Airport Hotel was a good transit hotel. Highly recommended !! Free airport pick up; but drop off service needed to pay taxi fee USD 4.- I was upgraded to a Deluxe room. The room was new and clean. 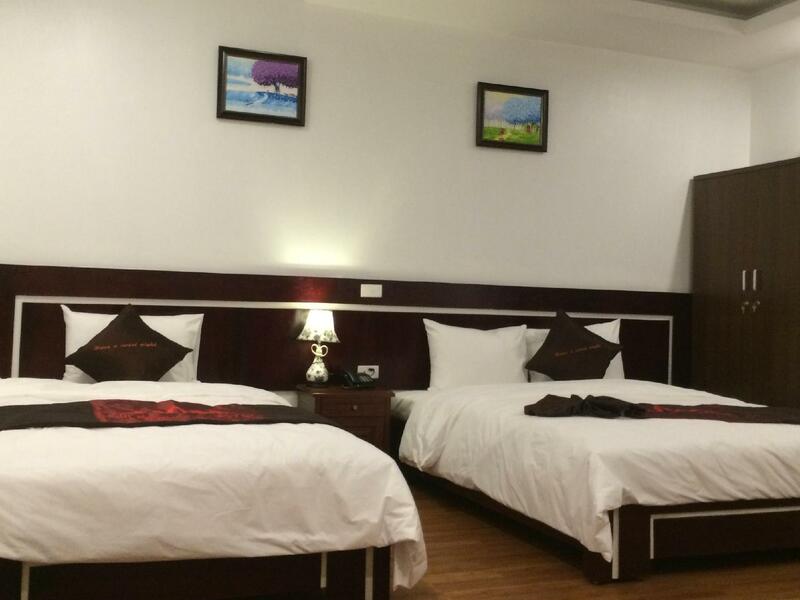 Very convenient and clean hotel with kind crew, clean room and competitive price, near the airport. Less neighbor restaurant/amusement but available food supply in the hotel building which serve fine dishes and beverage. This hotel serves and completes a whole service you may need for stays only by itself. 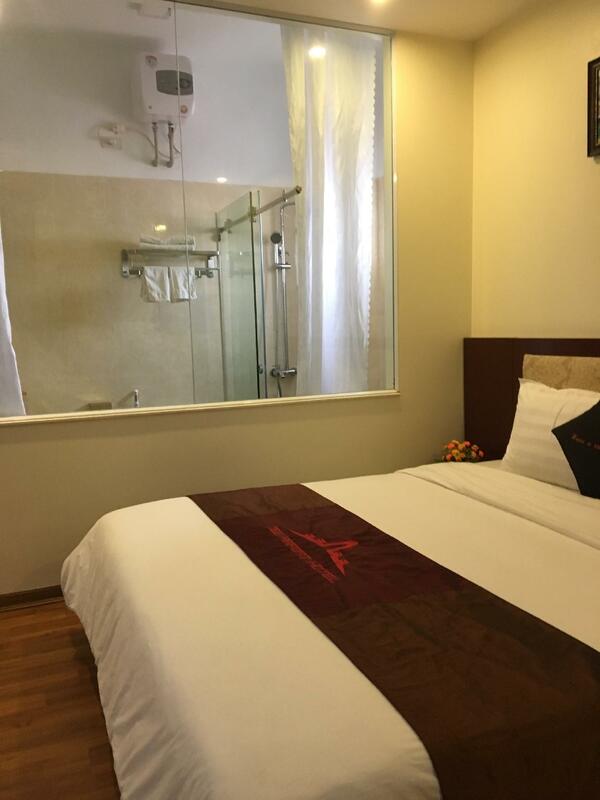 Very new hotel and hard to find for taxi and GrabCar drivers. It is very clean and there is good customer service. If you are in transit or need a good hotel near the airport, I would highly recommend it. It's a big room. 2 Queen size beds. Location is 5mins from airport. No complaint about my stay... My room is 401. It would be even better if I got 403 or 404 room that is facing the highway. But I basically checked in around 11.30pm, checked out at 6.30am, so nothing to complaint about. The receptionist forgot to give me a morning call. I like everything about the room and cleanliness. The mini tiny small issue is the water pressure not strong compared to another hotel in town I stayed. Still I would come back to this hotel when racing against time. Not the best place to stay - the room didn't feel particularly clean, there were visible stains on the sheets and towels. It's a 5 minute drive from the airport which is convenient but there is very little around to go to for food - most places are cheap cafes with poor quality food. I would suggest just staying in Hanoi and getting a taxi from there, even for early morning flights as it's only a 30 minute drive and you'll not waste an evening with nothing to do. Their airport transfer is freaking expensive. Just take the grab which is 1/4 of their price. 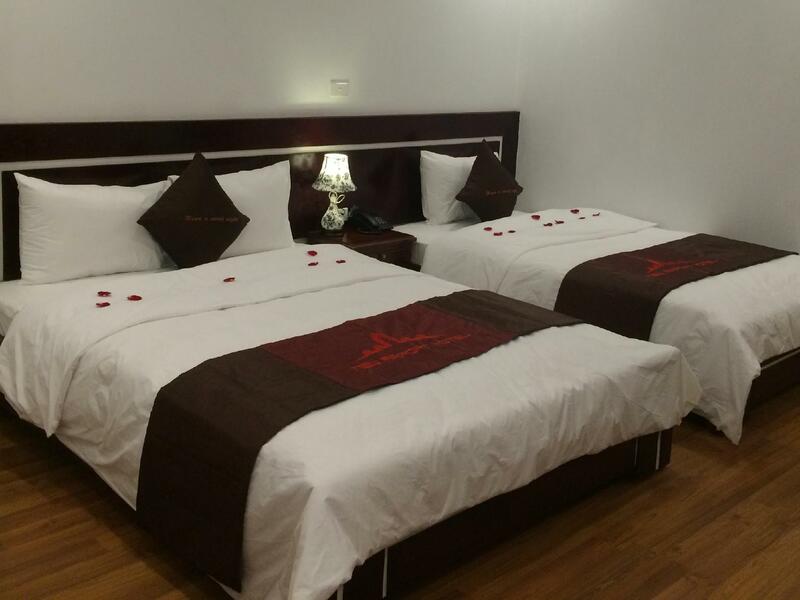 As for the room, the bed is not very comfortable but if just for a sleepover, it is fine. That's what the price you paid for. We stayed only one night, great location as we were taking a plane the next morning. It is about 7mins drive to the international airport. The staff was very welcoming and friendly. The room was spacious and comfy. We were on the 5th floor and not facing the main street which was great, we didn't hear a thing and slept well. The breakfast is quite simple (tea or coffee and one dish plus bananas). We would stay there again, good value for money. 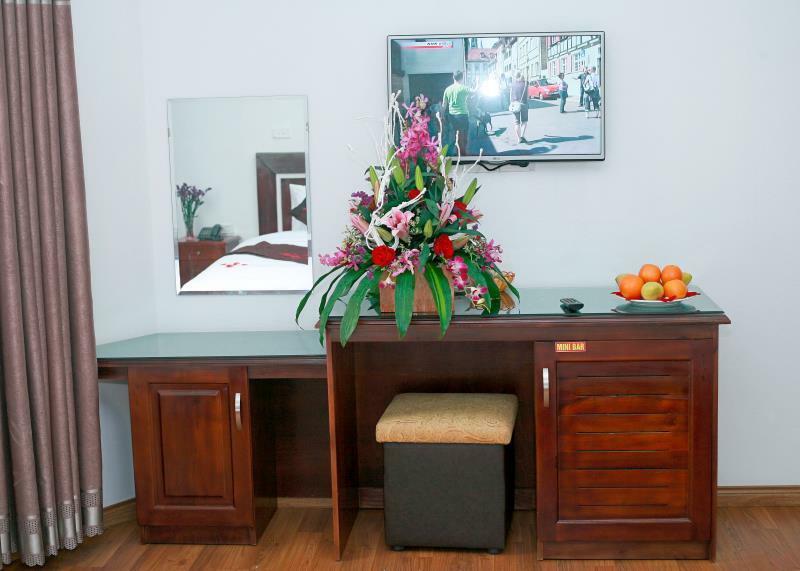 Friendly staff, clean room and conveniently located to Hanoi international airport.